mPassbook or Mobile passbook is an advanced, convenient and secure mobile app to get your Account passbook on your smartphone. This will help you in viewing and monitoring your transactions, without visiting Bank to print the same on physical passbook. What are the features of mPassbook? How to begin with mPassbook? You need a smartphone with an active internet data pack. Also, it is mandatory that you should register your mobile number with Saraswat Bank. Is mPassbook available on all the Mobile Operating System (OS)? mPassbook is currently available for Android (5.0 and above) & iOS. To use mPassbook, Should I need to register for Saraswat Bank Mobile Banking? No, it is not necessary to register for Mobile Banking facility with Saraswat Bank. Your mobile number linked to your accounts should be registered with Saraswat Bank. How Do I register for mPassbook? You will be redirected to Home screen of mPassbook. Am I charged for silent message sent through app during registration process? Yes, you will be charged by your mobile service provider as per their tariff card. Saraswat Bank will not charge you for the same. Can I access my mPassbook from any other mobile number or mobile handset? No, you can access your mPassbook from your own mobile handset with Registered Mobile Number. mPassbook is completely safe & secured application. To login your mPassbook, you have to enter your own P-PIN. Your mPassbook is not storing data on mobile handset, all the data is encrypted to access. Saraswat Bank mPassbook app works with any mobile service provider. Only a working internet connection on your smartphone like 2G/EDGE/3G/4G/HSPA/WiFi or higher is required. No, Saraswat Bank mPassbook is totally free. There are no hidden charges. Balance showing in front of my account, is it a latest balance? 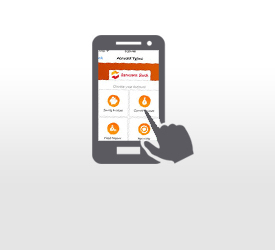 Yes, the balance shown in mPassbook is real time balance of your account linked with Saraswat bank. I changed my handset. How can I get the app again? You can download the app & re-register yourself with mPassbook. Will there be any additional charges for Re-registration process? No, there are no additional charges for re-registration process at Saraswat bank end. However, you may charge by your mobile service provider as per their tariff card for sending silent message under registration process. I am getting an error pop up that ‘Device not registered’? Ensure that your Mobile Number is registered with Saraswat Bank. The Android operating system version should be 5.0 (Lollipop) or above with an active internet data pack. Also, confirm that there is sufficient balance in sim card of your registered mobile number, since a silent sms will be sent by mPassbook application during the registration process. This is mainly because of fluctuating mobile network & the SIM of Registered Mobile Number (RMN) is inserted in second slot. Therefore, check whether you have sufficient mobile network to receive OTP. What is my mPassbook P-PIN? Is there any difference between P-PIN & M-PIN? Your P-PIN is used to login into Saraswat Bank mPassbook application, whereas MPIN is used to login into Saraswat Bank Mobile Banking app. Can I use my Saraswat Mobile Banking M-PIN for mPassbook app? No, M-PIN is strictly used to login into Saraswat Mobile banking app only. To login into mPassbook app, you need to set your P-PIN separately. Is there any precaution I have to take for using my P-PIN? Yes, do not ever share your P-PIN with anyone. Saraswat Bank never ask for your any PIN. For precaution, you may reset your P-PIN by selecting ‘Forgot Pin’ option of Login screen. I have wrongly entered P-PIN in mPassbook application? No problem, the app will prompt you to re-enter the correct P-PIN. The app will allow you to enter wrong P-PINs for the maximum number of times. Unless & until you enter a correct P-PIN, you will not be able to login into mPassbook. How to view my statements in mPassbook? Can I view the statements of all my accounts through mPassbook? Yes, you can view the statement of your own accounts. It is mandatory that all your accounts should be linked to your Registered Mobile Number. Can I generate the statement in PDF format through mPassbook? No, at this moment you can not generate statement in PDF format through mPassbook. Once the said facility is incorporated in the mPassbook, you will be notified for the same. For availing mPassbook, do I need to have any account with Saraswat Bank? Yes, for availing mPassbook facility, you have to maintain Savings or Current or Fixed Deposit or Recurring Deposit or Term Loan or Overdraft accounts. I am maintaining Term Deposits or Term Loans at Saraswat Bank, can I use mPassbook facility? Yes, you can use Saraswat Bank mPassbook, if you are maintaining Savings or Current or Fixed Deposit or Recurring Deposit or Term Loan or Overdraft accounts with bank. I am unable to see my latest transactions, what to do? Ensure that your mobile has enough data network. This is mainly because of fluctuating mobile network. Re-login to your mPassbook. How to search or navigate nearby ATM/Branch? Yyou may use this facility without login into mPassbook app. On login screen, select ‘ATM Locator’ & follow the above-mentioned steps. Yes, you can change your profile picture in mPassbook. On the Home screen, select Profile Picture icon, it will redirect you to your phone gallery. Select your desired picture from the gallery. Also, on Home Page, go to Profile Settings & select Change your Profile Picture option. Is it mandatory to upload the Profile Picture? No, it is Not Necessary to upload your profile picture. You may keep it blank. If I upload my Profile Picture, does Saraswat Bank utilize the same for their own record purpose? No, Saraswat Bank does not utilize your Profile picture for any record purpose. Can Saraswat Bank consider my Profile picture for KYC compliance? No, Saraswat Bank does not utilize your Profile picture for any record purpose or for want of any KYC compliance. I am unable to see all my accounts, what should I do? Ensure that your mobile number is registered with Saraswat Bank & you have sufficient network connectivity. Since, it could be case of mobile network fluctuation / jam. I want to know about other Products of Saraswat Bank? On the Login Page, select Product icon placed at bottom of the app. It will redirect you to Saraswat Bank website, where you can get all the information about the products. I need more Information about mPassbook? For more information or any query, select option “Contact us” on the Main screen or call us on 022 41572070.